Deciding to move to a new home with your family is a wonderful time. Going to live in a new area in a lovely, new home is an exciting process for all involved. It is full of hope as you plan your futures together and envision what this next chapter in your lives will bring your family. 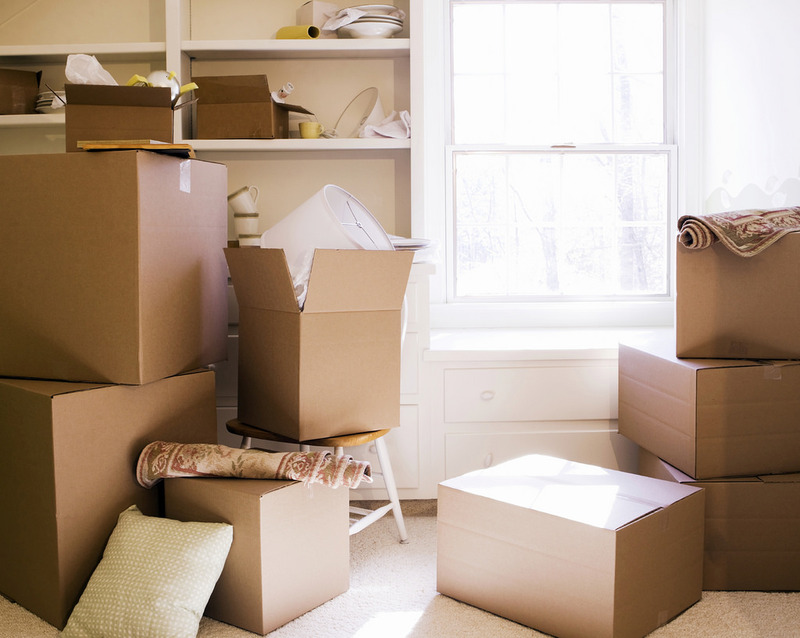 As fantastic as this time can be, it’s a fact that when you are moving to a new house, money can become a major worry. However, it doesn’t have to be. There are many simple ways you and your family can make moving to a new house a breeze without feeling as though you’re keeping too tight of a hold on the purse strings. You shouldn’t have to dramatically cut back on your spending just to be able to move your family. The first way you can lessen the money worries is to save, save, save. The more you can get together for the deposit on your house, the smaller the mortgage loan you will have to take out, but, of course, putting money aside can seem like a difficult task when you still have the monthly costs of food and bills to take care of. Looking online can give you some simple ways to save some extra dollars without even noticing. For example, the best time to put money into savings is right on payday. It’s a proven fact that people tend to overspend the first weekend after they have been paid, and this is often on unnecessary products. To avoid overspending on purchases you often do not need, put aside a set sum of money every payday to ensure a great start on your savings. Another thrifty way of saving for your deposit is to sell your unwanted items. This is helpful in two ways because, not only do you have some extra money put away, but by getting rid of your unwanted possessions, clothes, and pieces of furniture, you will have less to transport into your new home. This is one of the many ways you can reduce the stresses of moving home. One of the essentials of moving to a new house is hiring a moving firm that can safely transport all your most prized possessions. Researching your moving company is a very important step as these people need to be reliable and sensitive towards your family’s specific needs and situation. This is an absolute necessity, but it need not break the bank. By choosing to use a reputable, local company, such as Small Moving Inc., you will be able to get a fair, affordable quote, as well as a reliable workforce to make moving day easy for you and your family. By choosing a company that cares you can make the process simple and free from stress on the day while being sure you’re are getting a great price. Obviously, when you move into your new family house, a priority will be decorating the place to make it homely and personalized to you and your loved ones. Searching online for thrifty decor ideas is a good place to start to get your creative juices flowing without maxing out your credit cards but here are a few simple ideas to get you started. Working with what you’ve already got is the first port of call as this doesn’t involve any money at all, just a bit of elbow grease. It is amazing just how much rearranging the furniture you already own can transform a room. So, on the first weekend in your new place, why not take some time to try some different arrangements in the living room and dining room to spruce the house up. Another great way to do up your new home is to not be afraid of a little DIY. Remember, you don’t have to buy everything new for your new home. For example, it’s a great idea to pop down to your local furniture recycling plant and picking up some bargains. If you pick up an old bedside table you can make it a unique piece by giving a new paint job or by simply replacing the handles, or personalize a new lamp shade to give your room a different ambiance. An important consideration with moving to a new house is to think about your money in the long term. So, before you arrive at your new abode, try to think about how to plan a realistic monthly budget to stay on top of the costs of mortgage payments, bills, and daily costs such as food and transport. Take this opportunity to compare the rates of your utility providers, and if necessary, change to the cheaper options. Before you make the switch, speak to your current provider and inform them of the cheaper rates that you have found, as quite often they will match it to keep you as a loyal customer. You need to approach creating your budget methodically. Sit down with your partner and work out what you collectively earn monthly. The next step is to go over what your bills are going to be and subtract this from the total and remember, it is always best to overestimate your expenditure so there is not a chance of you getting caught out of pocket. The final figure you will be left with is your disposable income and this is when you can begin to decide what can go into your rainy-day savings. Going to live someplace new is a serious task that requires a high level of organization as you undertake all the very important tasks and try to save money, and you may need to remind yourself as to why your undertaking this new venture to motivate you to keep working hard. Remember how you are working to improve your children’s lives as well as your own, to open up the possibilities of new opportunities, and to enjoy life.